Does your family love it as well? If so, reality show producers may want to cast you to star in your own TV show. A major production company is looking for America’s strongest family. That’s right, they are looking for a family that power lifts together and maybe even competes. If you and your family all share a passion for weight lifting, workout as a family, and support each other in the process… this may be right up your alley. 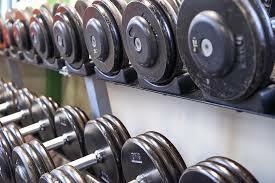 The show is looking for a very fit couple who has at least 4 kids that share their passion for lifting weights. Major production company and major family friendly TV Network are looking for AMERICAS STRONGEST FAMILY! Casting a POWERLIFTING COUPLE with AT LEAST 4 KIDS under the age of 18 that all lift and compete or have aspirations to compete if they are too young. Does your entire life revolve around fitness? Do you live for lifting? Does your family workout together, plan your meals together and support each others fitness goals? Can your kid lift more than they weigh? Are you certain that your child is going to be a world champion one day? We want to interview your family right away for the chance to have your own TV Series!